Storm damage is covered by your homeowner’s insurance, depending on your deductible and the amount of damage. All insurance coverage is different. Stay calm and follow the right steps to get maximum coverage for everything from hail damage to roof shingles, roof replacement, broken windows, dented siding and more. 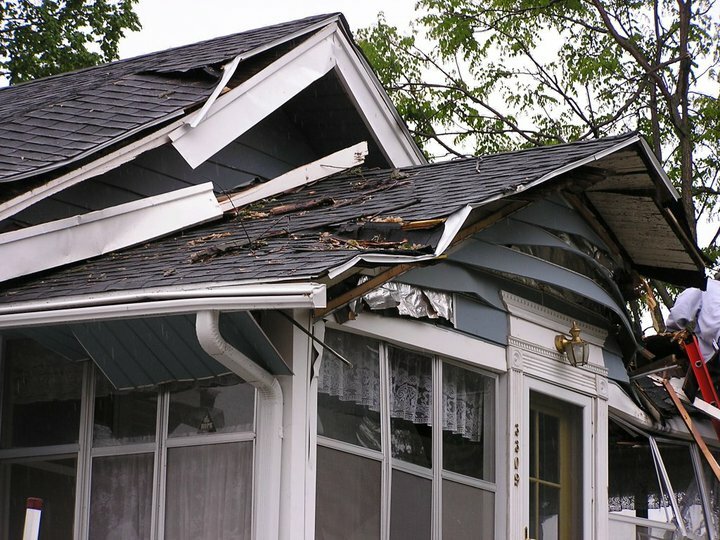 Has your home recently sustained storm damage? Contact us today for a free consultation on storm damage repairs and more! Call Altitude Roofing & Exteriors (link to contact page). We can help you understand more about your storm damage. We inspect all issues. IMPORTANT: Call your siding or roofing contractor FIRST. Your insurance agent cannot help until an inspection and bid is done by a contractor. We give you the option to repair or replace your damage. Knowing the insurance deductible allows us to suggest repairs that are under your deductible, where it is better to fix than replace. Provide insurance details and we can help you through the process. We do emergency repair service until we are able to fully fix your roof or siding. We schedule a time to complete your project in full. CAUTION: USE LOCAL COMPANIES ONLY!!! When disaster strikes, roofing companies show up at your door. You’ve never heard of them but they claim they can fix your roof or siding quickly and on the cheap. They provide quick fixes, poor repairs and then vanish from the area. They almost always do not do the job correctly. When your roof is leaking again or your siding won’t stay on, they are nowhere to be found and your insurance won’t cover the expense of actual repairs. Altitude has fixed countless jobs by these companies. All of our workers are local, contracted and bonded, meaning we live in your community and provide the best repairs. We will be there when the storm hits and long after. We keep you calm and repair the major damages first. Your neighbors are calling the roofing companies, too. We will provide emergency service repairs on everyone’s home and then come back, fully restoring each individual claim. Whoever you choose to repair your storm damage, give them time to service you and you will receive the best insurance coverage and the best product.